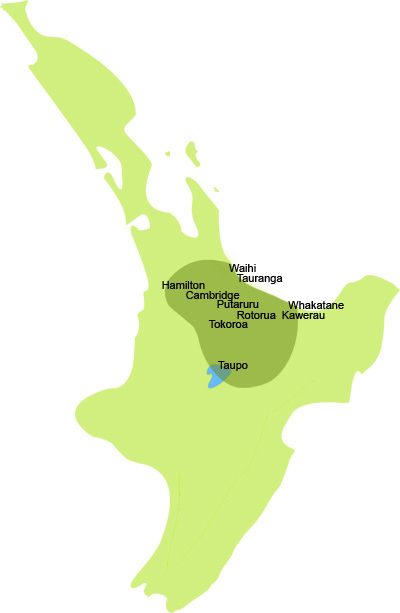 NZDDS covers the Taupo, Tokoroa, Putaruru, Rotorua regions and from Tauranga up to Waihi, and across to Whakatane and Kawerau. We also service the Cambridge and Hamilton areas. Please check the map below for the area we work in. We are expanding quickly so if you are located outside this area, please contact us to find out about the possibilities.